One of my favourite patterns! That is a great looking hat!! The colors are appealing and you work lovely. Beautiful and what fun to wear. So pretty, great looking hat. 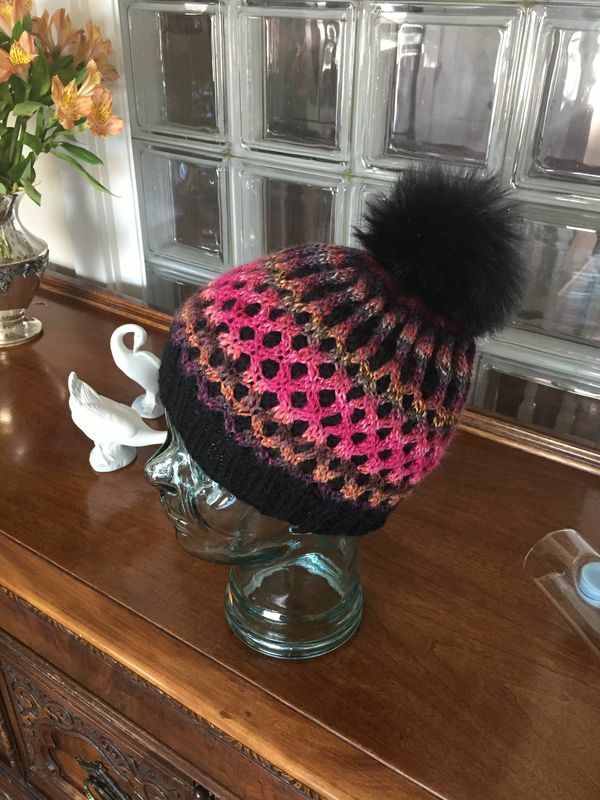 Could you please provide a pattern link? Thanks. Really beautiful! Love that hat and the colors! Free Pattern plus a Video Tutorial! Gorgeous! I love that color combination! way cool design! love your color choices! Great job!